"The face should look a little bit more... questioning", for example, is one of the most common comments from a client when reviewing a drawing. And then you go like "more questioning, what exactly makes a face questioning?". That is why most of us, illustrators, have a mirror on the desk: to make faces, examine and draw them. For the third time since I started my freelance illustrator career I am rearranging my office. And I wanted a nice mirror. So last Sunday I went to the big flea market in Stuttgart (we have one weekly flea market and twice a year a huge one). 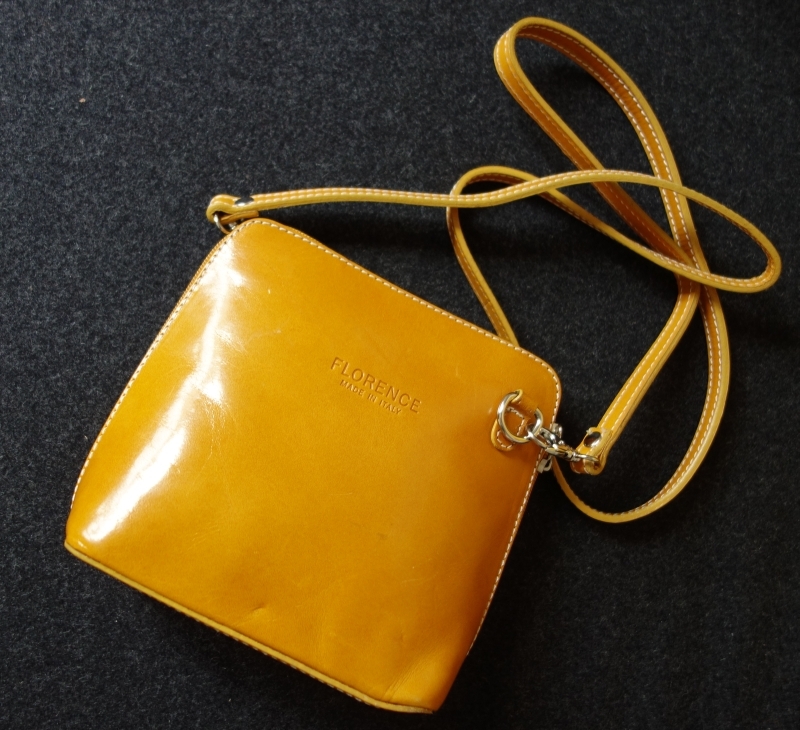 And looking for the mirror I found a new beach hut -that will be needed luckily in a couple of weeks- and this gorgeous little bag. I love it. That is why today there is no illustration here but the treasures I found when looking for a new mirror. Which I also found, by the way.